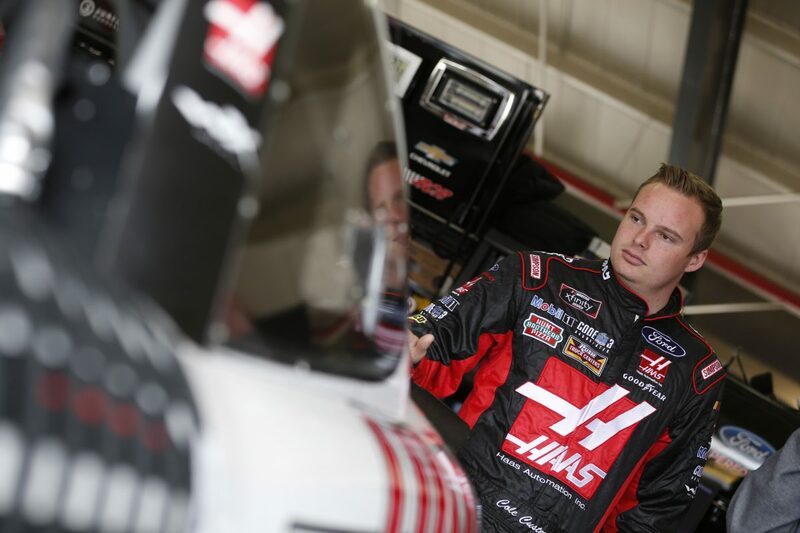 Saturday’s Fitzgerald Glider Kits 300 will mark Cole Custer’s third Xfinity Series start at Bristol (Tenn.) Motor Speedway. Custer finished fourth at Texas Motor Speedway in Fort Worth Saturday to qualify for the $100,000 Dash 4 Cash prize this weekend at Bristol (Tenn.) Motor Speedway. Custer will compete against fellow qualifiers Daniel Hemric, Christopher Bell and Ryan Preece. The top-finishing driver of the four Dash 4 Cash qualifiers will win the $100,000 prize. No Monster Energy NASCAR Cup Series drivers are eligible to race in the Fitzgerald Glider Kits 300 Xfinity Series race at Bristol. The Fitzgerald Glider Kits 300will be Custer’s third Xfinity Series start at Bristol and his eighth overall start at the .533-mile oval in East Tennessee. Custer has three NASCAR Camping World Truck Series starts and two NASCAR K&N Pro Series starts at Bristol. Custer’s career-best Bristol finish is sixth in the 2016 Truck Series race. While it wasn’t his best finish, Custer’s most impressive performance at Bristol was in the 2015 Truck Series race. He started fifth and led twice for a race-high 111 laps, holding off a handful of veterans including Matt Crafton, Johnny Sauter and Kyle Busch. But when Custer was coming up on Spencer Gallagher to put him a lap down less than 40 laps from the finish, Gallagher spun in front of Custer. With nowhere to go, Custer collided with him, all but ending his race. He finished 16th. In Custer’s last Xfinity Series start at Bristol, he ran as high as fourth and battled inside the top-10 for the majority of the race before earning his first Xfinity Series top-10 at the track. In nine Camping World Truck Series starts and two K&N Pro Series starts since 2013, Custer has one pole, one top-five finish, five top-10s and 226 laps led at half-mile tracks currently on the NASCAR circuit. Custer’s best finish in the six Xfinity Series races run this season is his fourth-place result at Texas. Custer has one win, nine top-five finishes, 25top-10s and has led 306 laps in 44 career Xfinity Series starts. Custer’s best qualifying effort in the six Xfinity Series races run this season is third, earned at ISM Raceway near Phoenix. Custer is sixth in the Xfinity Series driver standings with 181 points, 47 behind series leader Elliot Sadler. Custer has earned four consecutive top-10s and one top-five thus far in the 2018 season. For the third year, a chemical compound called VHT has been added to the inside portion of the Bristol track surface to enhance the lower racing groove. In the past four races, you finished ninth, eighth, sixth and fourth. There seems to be a pattern with the team’s progress. Are you at a point in the season where you race more aggressively to keep the momentum going? You’re eligible for the $100,000 Dash 4 Cash prize and no Monster Energy NASCAR Cup Series drivers are entered in the Fitzgerald Glider Kits 300. How does this change your mentality heading to Bristol? What does it take to cross the finish line first at Bristol? How much does $100,000 on the line change your strategy? What will be the key to earning a solid finish at Bristol? What car are you bringing to Bristol?